The boat is ready to use and the seller is making needed repairs, and freshening the boat for the next owner. Rod holders are missing from beneath the gunwales and will be replaced. Missing knobs on drawers. Interior cabin has stains on the carpeted ceiling. The wrap has gashes in places. Electronics were missing from the boat at the time photos were taken. Stock #168255 Sailfish with Deep V and new wrap! Longer & heavier version and ready to catch some fish! 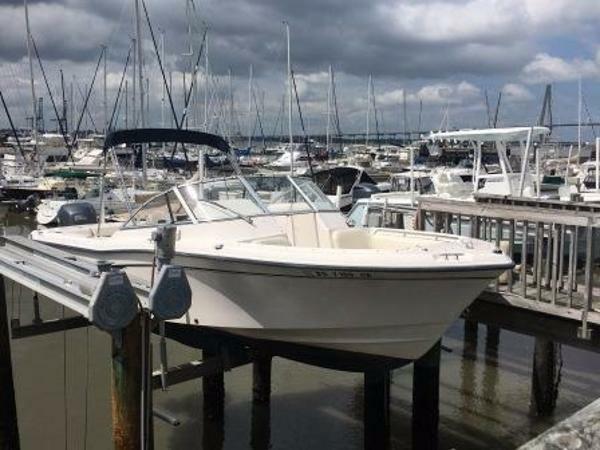 If you are in the market for a walkaround, look no further than this 1990 Grady-White Sailfish 252 Sportbridge, priced right at $27,800 (offers encouraged). 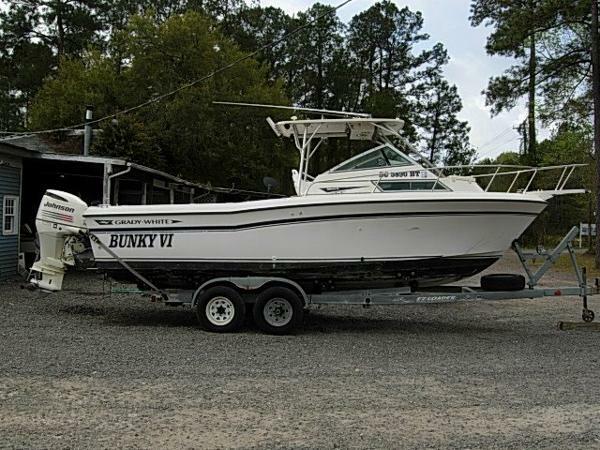 This boat is located in Lake Wylie, South Carolina and is in decent condition. She is also equipped with twin Yamaha engines that have 750 hours. Well cared for, clean, with cushions, covers, and extras kept indoors. Deck was obviously maintained with no damages or missing components. Cabin storage bunks and hatches all in order fitting securely. Aft storage, seating, and rigging area in good condition, with exception to age and wear on lip of lid of aft fish box that showed cracking. The trailer appeared in good working order. 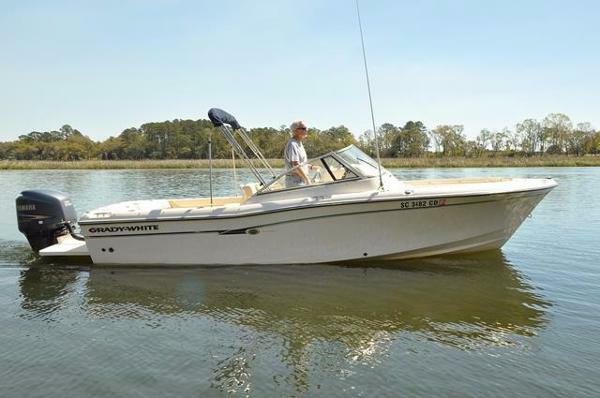 Stock #134076 Classic Grady White Overnighter Walkaround, Heavy Duty Fishing Beauty If you are in the market for a walkaround, look no further than this 1988 Grady-White Overnighter - 206G, just reduced to $16,500 (offers encouraged). 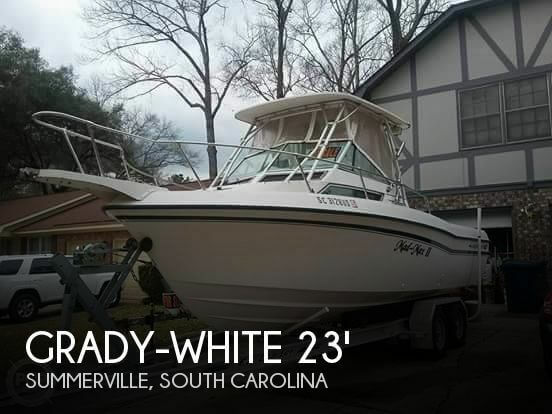 This boat is located in Clover, South Carolina and is in great condition. She is also equipped with a Yamaha engine that has only 139 hours. Reason for selling is family member needing more care. 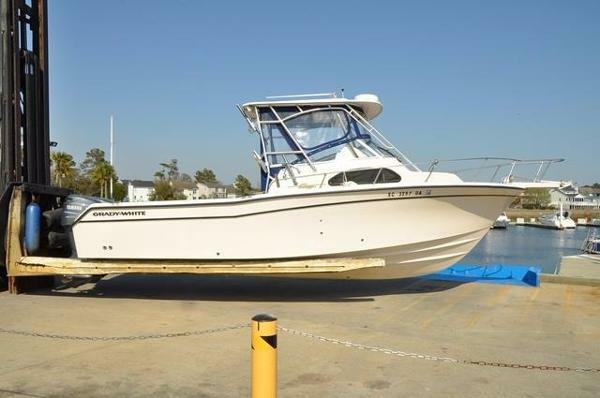 Stock #165562 Grady-White Sailfish, 2002 Yamaha 4-Strokes, Clean, Fishing Machine, Can do it all If you are in the market for a walkaround, look no further than this 1996 Grady-White 27, priced right at $37,000 (offers encouraged). This boat is located in Goose Creek, South Carolina. She is also equipped with twin Yamaha engines. Reason for selling is looking to change styles. Some (mostly cosmetic) issues: - Surface mildew in the cabin and on cushions - Right top radio box door is off the hinges - Trim controls are not working - seller believes this to be fuses - Some canvas snaps are not working and separated from top frame - Aft transom may need future repair (see photos) Stock #157092 2001 GRADY WHITE 265 EXPRESS WALKAROUND TWIN YAMAHA'S If you are in the market for a walkaround, look no further than this 2001 Grady-White 265 Express, just reduced to $32,000 (offers encouraged). 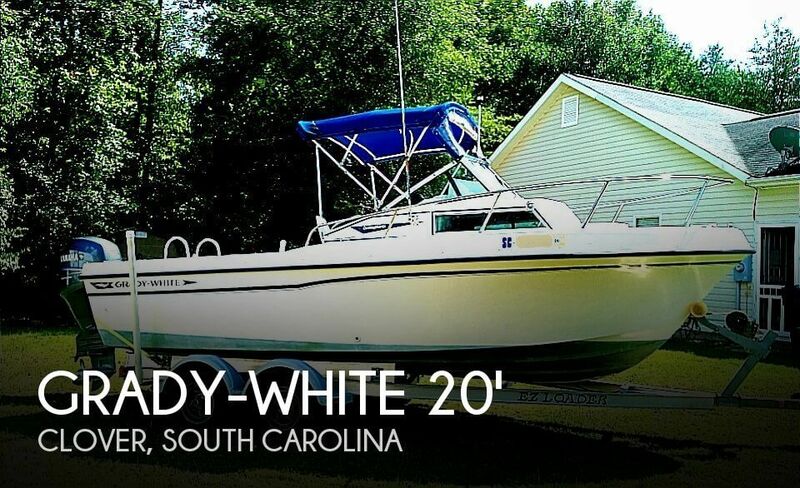 This boat is located in johns island, South Carolina and is in good condition. She is also equipped with twin Yamaha engines that have 328 hours. Reason for selling is not using enough. 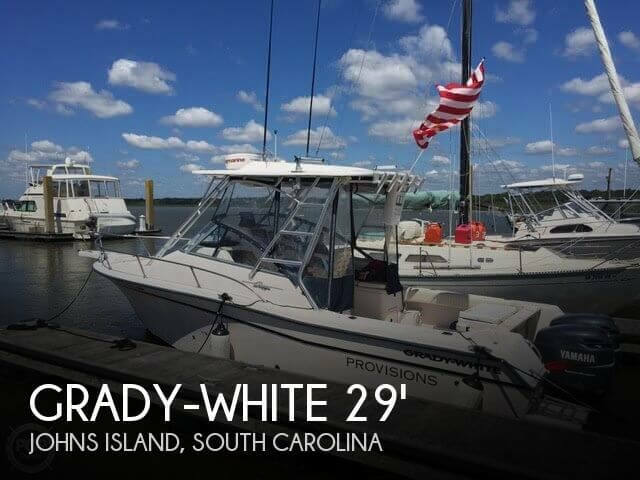 2003 Grady-White Islander 270 This is a nice clean 2003 Grady White 270 Islander that has been stored inside and is in great condition. The engines are the desirable Yamaha Z200 HPDI's that only have 950 hours on them and they are a perfect setup for this boat. There is a 2009 Tri Axle Aluminum trailer that is included with the boat that has hardly been used. Options on the boat include: Anchor Windlass, Hardtop with Rod Holders, 4 sided Canvas, Marine Head with Deck Pumpout, Cabin Rod Racks, Aux Fuel Tank, Cabin Mount Lee Outriggers, Livewell, Raw Water Washdown, Freshwater Washdown and Trim Tabs. Electronics on the boat include: Garmin 4208 GPS/Depth/Radar, Poly Planar Stereo and a Standard Horizon VHF Radio. Call today for more information or to schedule a showing. Click on full specs for a link to high resolution pictures. 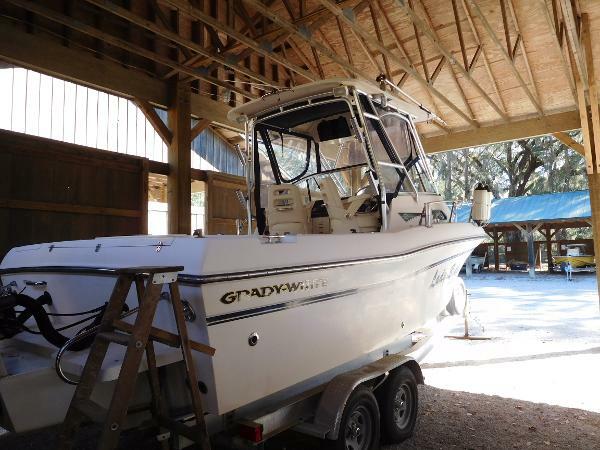 2011 Grady-White Freedom 225 This is a nice clean one owner 2011 Grady White 225 Freedom. It is powered by the highly desirable electronic shift Yamaha F250TXB that only has 397 hours and has just recently been serviced. This boat does not have any bottom paint as it has been lift or trailer stored since new. A Wesco aluminum trailer is included and has been stored inside since new. Options on the boat include: Raw Water Washdown, Livewell, Dual Batteries with Switch, Trim Tabs, Bimini Top with 3 Sided Canvas, Cockpit Covers, Porta Potti, Hydraulic Steering and Back to Back Port Seat. Electronics on the boat include: Garmin 740GPS/Depth, Standard Horizon VHF Radio, and Fusion Stereo with Aux Output. Call today for more information or to schedule a showing. Click on full specs for high resolution pictures. 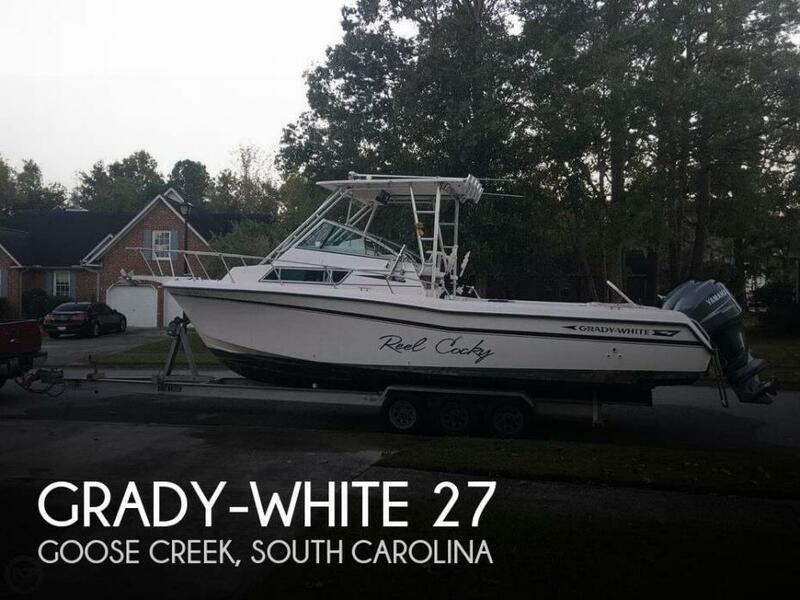 2008 Grady-White Chase 273 This is a super nice clean 2008 Grady White 273 Chase. It is powered by Yamaha F250's that only have 105 hours. The boat has been kept in dry storage since new and shows excellent. Options on the boat include: Anchor Windlass, Bow Cushions, Bow Insert, T-Top with Radio Box and Outriggers, Head with OB Discharge and Macerator, Leaning Post, Freshwater, Raw Water, Livewell and Trim Tabs. Electronics on the boat include: Garmin 5208 GPS, Furuno FCV- 620 Bottom Machine, Upgraded Stereo with JL Audio, Icom VHF Radio. Call today for more information or to schedule a showing. Click on full specs for a link to high resolution pictures. 2008 Grady-White 232 Gulfsteam Very well maintained 2008 Grady White 232 Gulfstream, with Twin 2014 Yamaha F200's with less than 70 hours. 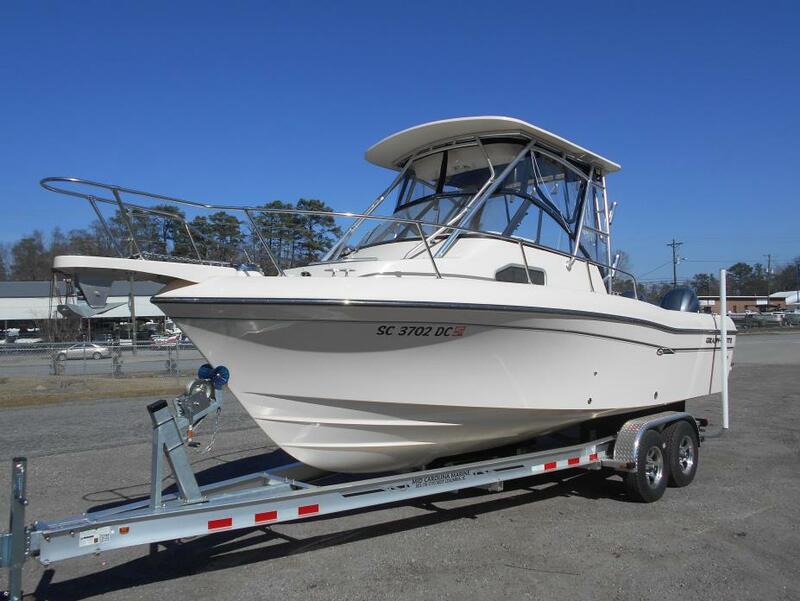 Options include Hardtop with Curtains, Bow Pulpit with windless, Fresh water system, Raw water washdown, Porta potty, Twin Garmin 4212's Gps/depthfionder and radar. Icom 504 Vhf, and top mounted outriggers, Also includes dual axle trailer. Boat was stored under shed and is in great condition. 2002 Grady - White 257 2002 Grady-White 247, REPOWERED with Yamaha Warranty! 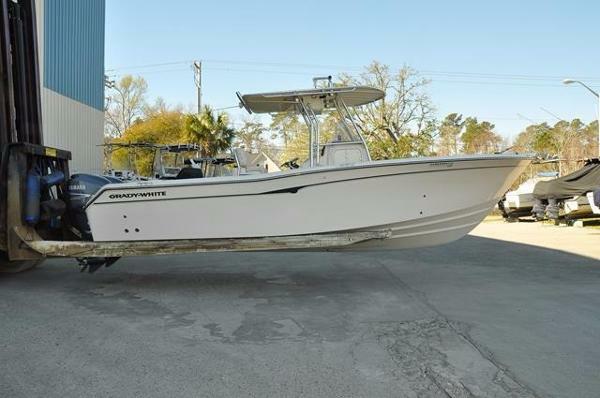 2002 Grady-White 247, 250HP YAMAHA Four Stroke (dated 09/08) with 295 hours mounted 11/2011. YES Yamaha warranty until 11/2017. Sea Star hydraulic steering with tilt wheel, Bennet trim tabs, SS Yamaha prop, Outriggers with Top Gun mounts, New Coaming Pads, Large double bow T-Top. Spreader and under gunnel lights, new speakers. "shotgun" double rod holder on transom. Never bottom painted. Includes custom console and leaning post covers.Electronics:Furuno FCV 620 Color depth recorder fish finder with through hull Furuno transducer and Furuno fairing block,Lowrance 3500 depth gauge and High speed transducer, Battery Charger Guest 10/5 Amp on board with plug,VHF ICOM IC-M502 with antenna on t-top, Radio with CD player and two new speakers, Ritchie Compass.Includes, USCG required safety equipment/lines $39000, reduced $33,500 Drystack on Shem creek available I have prices for trailers if one is needed. 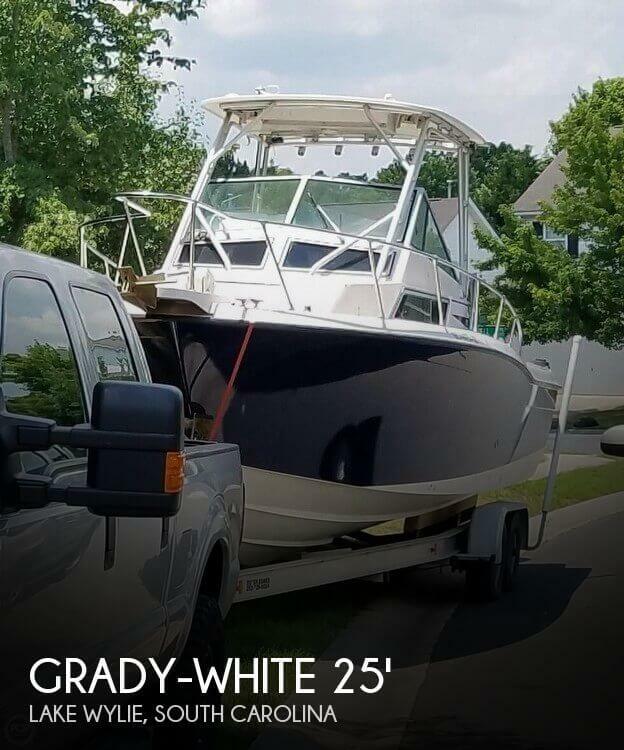 2008 Grady-White 225 Tournament Up for sale is nice 2008 Grady White 225 Tournament dual console. 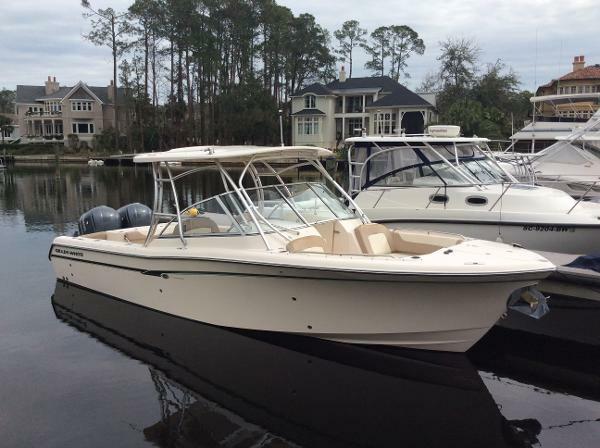 This boat is great for fishing, skiing, and pleasure boating. 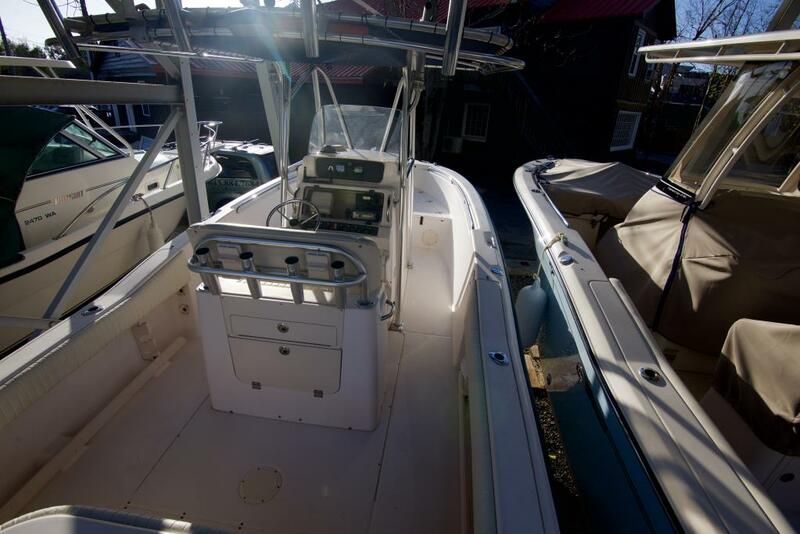 The 225 Tournament is a great all around family boat. This boat is freshly detailed and has had the upholstery replaced last year. It is also equipped with a Garmin GPS unit , ski pylon, full bow filler option, and comes with a trailer. It is equipped with a Yamaha 250 four stroke with only 220 hours on it and has clean compression across all cylinders. 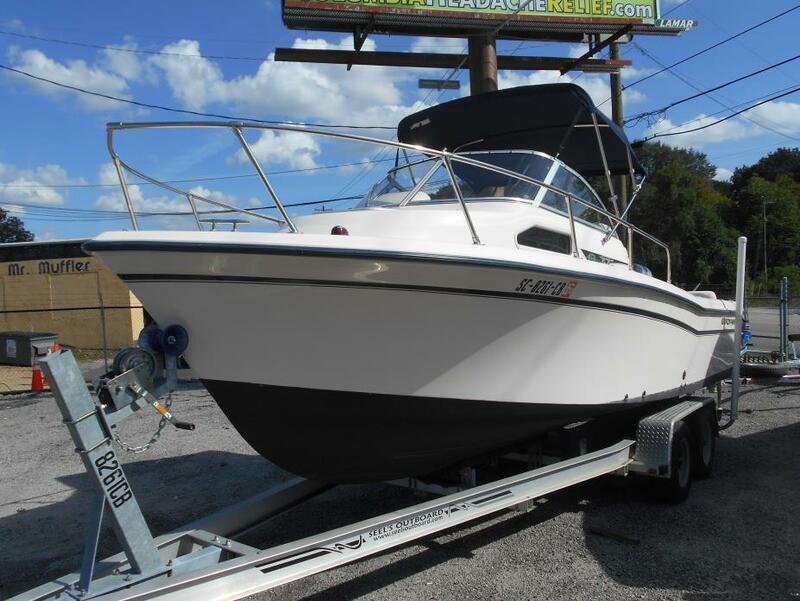 This boat is priced to sell so it wont last long!!! Call your local Hall Marine Dealer today.